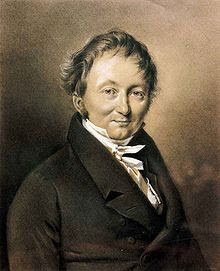 Baron von Drais Karls Sauerbronn or Karl Drais was born on 29 April 1785 in Karlsruhe, Germany, he was a German inventor and find Laufmaschine also later called the velocipede, or draisienne. It then entered a two-wheeler principle that later became the basis for the bicycle and motorcycle and was the beginning of mechanical private transport. Drais also found early typewriter with a keyboard in 1821. From 1803-1805, Drais studied architecture, agriculture and physics at the University of Heidelberg. He joined as forestry officials, worked as a teacher at his uncle's private forestry agencies, and in 1810 received his chief forester, but its position has not been determined. One year later he was suspended from his service, but continues to receive a salary so that he could devote more time to his invention. Drais successfully perform an important breakthrough, which proved to be the foundation stone of the development of the next cycle. By Von Drais, Hobby Horse modified until it has a steering mechanism on the front wheels. shape velocipede, an early form of bicycle, but without pedals. Reported first journey, from Mannheim to Schwetzinger Relaishaus took place on June 12, 1817. In the same year, he made a second trip, from Gernsbach to Baden, and others. By taking the energy of motion of both legs, Von Drais able to glide faster time around. He himself calls this vehicle as Draisienne. The story itself was published in the local newspaper Germany in 1817. In 1839, Kirkpatrick Macmillan added a drive shaft that connects between the rear wheels and front tires Draisienne. Draisienne bike did not last long, because after that, began to emerge a new bicycle types are more efficient and even some of them are already using the pedal, although the pedal is still not perfect as a bike today). Even so, the bike was made Baron von Drais remains to be thumbs up, because it was able to be a milestone in the emergence of modern bikes in the world. On January 12, 1818, Drais was awarded a title of respect for the duke as a reward for his discovery. Baden did not have a patent on his invention at that time. Grand Duke Karl Drais later also appointed as Professor of Mechanics. This is just an honorary title, not associated with a university or other institution. Drais retired from the civil service and continue to receive a salary as his invention. Drais approaching disaster when a murder and decapitation occurred on Ludwig Sand, in 1820. Drais father as supreme judge Baden, refused to apologize, and then surrounded by her student in germany student. Therefore, 1822-1827, Drais then moved to Brazil as a supervisor at the Fazenda land owned by Georg Heinrich von Langsdorff, but returned to Mannheim. because of the discovery is the climate anomalies 1816, the year without a summer caused by the eruption of Mount Tambora almighty in Indonesia has disrupted transport in Europe due to crop failure and famine horses, and this is the cause of discovery Drais' velocipede of them. Drais died in his hometown, Karlsruhe, Germany on December 10, 1851, penniless after Prussian revolt in Baden and seized money Drais retired pay fully for the revolution.